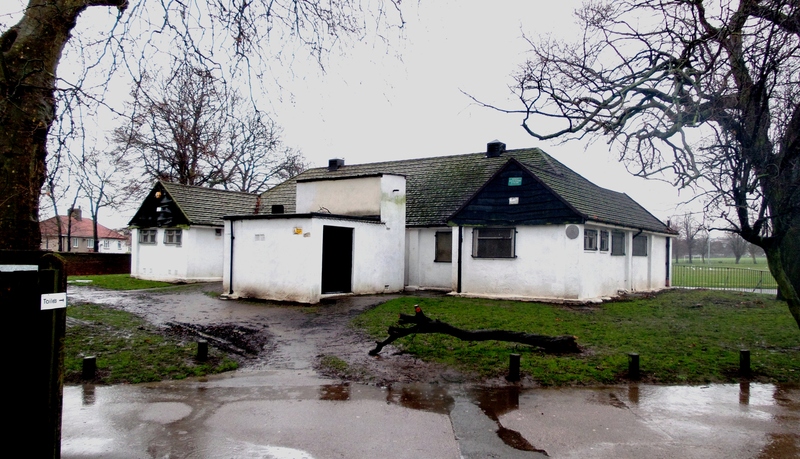 Will Charlton Park petition flush out public toilet improvements? Signed as soon as I saw the petition. I find it extraordinary that the Council can spent vast sums of money of street signs which proclaim ROYAL borough of Greenwich but neglect basic facilities like this. Window dressing. Great idea and much, much needed too! Greenwich has some dreadful public toilets in its parks of which these are just one, the ones in Maryon Park and Avery Hill are arguably worse. I always dread being caught short in various parts of the borough. Ironically, a couple of hundred metres in the other direction from the café were once some Grade 1 listed loos – in the sadly neglected Summer House to Charlton House (in the corner almost opposite Charlton Church Lane). The petition currently stands at 230 sigs on line and another 120 long hand in The Old Cottage Coffee Shop. Please do sign either way if you think Charlton Park deserves toilets that are fit for purpose. I agree that these facilities need to be significantly improved and have been pursuing this issue since before Xmas. I will forward an update on this issue shortly. Following your recent emails on this matter, I can confirm that officers are investigating three potential solutions to the issue of the condition of the toilets in Charlton Park. These incorporate suggestions made following a visit to the park to meet members of the Charlton Society. The first option is to re-furbish the existing toilet block and the second is to provide public access to the changing room toilets that are situated next to the existing toilet block. Funding for both of these options has been allocated from the 2014/15 property services budget. The third option arises from an enquiry from the café operator who expressed a wish to take over the changing room block (including toilets) to provide a larger café, refurbished toilets and an area for community based clubs. Having seen the café owners’ original proposals there is an amount of work still to be done if this option is to be pursued however. In order to examine which option is the most preferable, Dawn Squires, the Head of Parks and Open Spaces, will meet with the café operator and gain more details regarding his proposal. At the same time she will liaise with colleagues from the Culture, Media and sports Directorate to ensure that the needs of the sports clubs continue to be met. With regards to the mis-use of the toilet blocks they are now being visited twice daily (once by a cleaner and once by a member of the park keeping service) and the local Police team have also been asked to attend. There has been a significant reduction in mis-use as a result. The toilets need refurbishment, not the ones in the changing rooms. They are way too far from where most things happen. It certainly wouldn’t be good having a coffee and needing a wee half way through it and walking all the way down there . And I have been in those changing rooms and am shocked at how bad the whole building is! I, just like hundreds of other members of the community support Michael from the cafe. It is an issue that needs to be dealt with quickly as spring is on the way . Charlton park is improving and has so much potential. And having these particular toilets redone is of paramount importance to our community. Stacy, everyone is talking about the toilets in the white winter building next to the Old Cottage Cafe and outdoor gym. This white building also has changing rooms facing the old athletics track which are now only used by the summer weekend cricketers. If we can agree a complete solution to best use the facility and ensure the loos are well looked after and safe then that would be best. The other changing rooms used by footballers some 250m east only have internal loos for use within the changing area not publicly accessible. Thanks to Cllr Parker for posting this but should still press ahead with excellent petition. Charlton Park has been transformed with the outdoor gym, the cricket hub and above all the Old Cottage Cafe – but these loos are really dragging it down, and they are much more in demand given the above! Charlton Society officers met with council officers last week on site and action is promised, but need a holistic approach to really tidy up this entrance area. Then we can fly the Green Flag Award with even more pride. Update on this issue- some work is going to take place shortly on the toilet block, other work is likely to take place in the near future, subject to planning consent, which has to be obtained before further work can be undertaken and completed. Thank you for the update, Gary, it’s appreciated. The full response from the Petition I presented in January is now on the agenda papers for the next council meeting under petition responses. The council is committed to improving the Toilet block in the 2014-15 financial year- see http://www.royalgreenwich.gov.uk for more details.